Our iPhones already support single and multi-finger tap and swipe gestures, as well as pressure sensitive presses, and soon they may recognize hover gestures, too. Apple has been granted a patent that describes a system where our finger movements can be recognized when they're near our iPhone displays, but not actually touching them. Patent 9,250,734, called "Proximity and multi-touch sensor detection and demodulation," details how future iPhones could detect, in essence, how much you aren't touching the display like an opposite version of 3D Touch—the feature currently in the iPhone 6s and iPhone 6s Plus that senses how firmly you're pressing on the screen. The patent sounds a lot like 3D motion capture, but without the camera systems used today to "watch" our gestures. It also looks like something that may have come out of the technology in Apple's 2013 purchase of PrimeSense, the motion tracking tech company that Microsoft turned to for the original Xbox Kinect. Apple isn't limited to using its proximity-based gesture sensing with the iPhone or iPad; it could also find its way to the Mac and Apple TV, and may have a place in planned products we haven't heard about yet. The patent could fit in nicely with Apple's virtual and augmented reality plans, too. The company reportedly has a secret team working on VR and AR projects for currently unannounced products and proximity-based gesture sensing could play into that. Instead of wearing a clunky Oculus-style face mask, Apple's VR team is working on a JARVIS-style interface that surrounds you and not just an immersive gaming system. As usual, Apple isn't saying what it has planned for its patent or the hover sensing patent it was awarded in 2011. 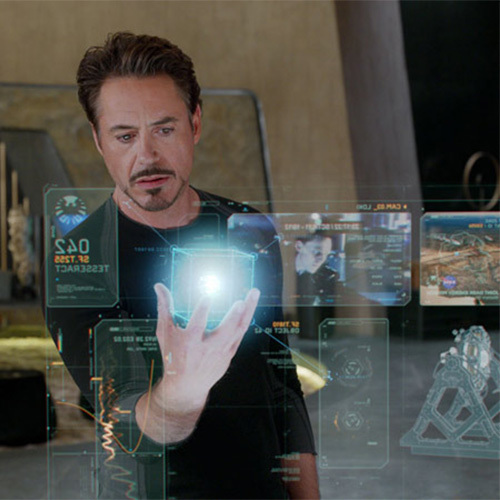 Combined with its push into VR and AR, we may be in for some very cool interface changes.